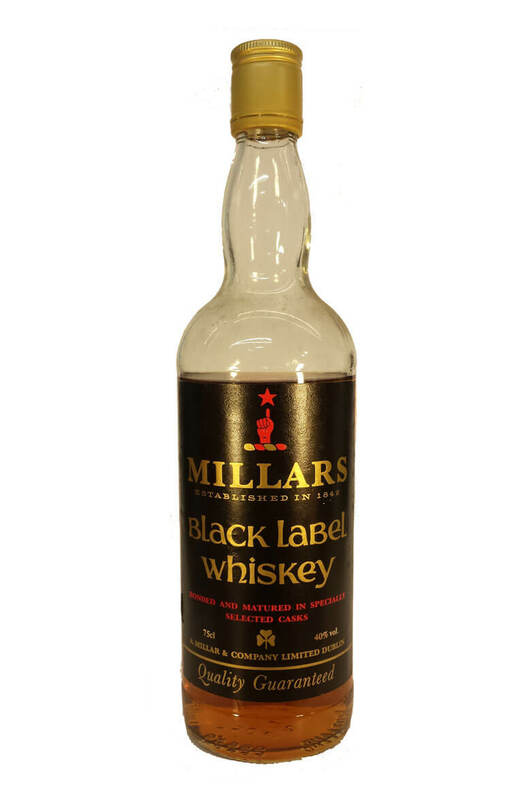 Millars is an old brand of Irish whiskey that was originally produed by a merchant on Thomas Street in Dublin. This bottle dates back to the 1960s or 1970s and was most likely bottled with either Jameson or Powers whiskey sourced locally. The brand dissapeared for a long time before being resurected by the Cooley distillery. Recently it has been discontinued and looks unlikely to be available again. This particular bottle has evapourated quite a lot and the level is below the shoulder. The label is in good condition.